art, stories, poetry, essays, reviews and music. Jack Hirschman in conversation with Bernard Meisler. Jack Hirschman, Poet Laureate emeritus of San Francisco, author of over 100 books in nine languages, essayist and painter, is a living legend. We met up (of course) at the Cafe Trieste, and then walked over to Jack’s SRO at the Columbus Hotel. He was reading the baseball scores in an old-timey paper newspaper when I found him, so we spoke a bit about baseball, and, Jack being Jack, moved quickly from Lou Gherig (Jack was in the bleachers when Lou delivered his famous “luckiest man alive” speech!) to Heidegger. We discussed Jack’s early years in academia, how he was forced out of UCLA for protesting the Vietnam War, how he became a communist, and Zionism vs. anti-semitism. We also spoke about the Russian Futurists, and especially Vladimir Mayakovsky. Jack became a fan of Mayakovsky, whom he considers the father of both the beats and hip-hop poetry, as a teenage student at CCNY. 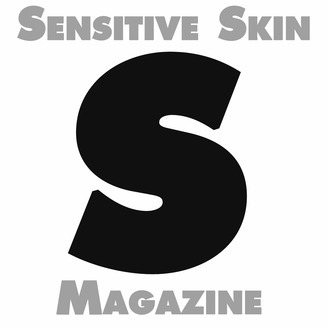 The Sensitive Skin magazine podcast is now available on iTunes, Stitcher, Spotify and the other usual places, or listen to it here. New episodes every Monday! The post Episode 13 – Jack Hirschman appeared first on Sensitive Skin Magazine.